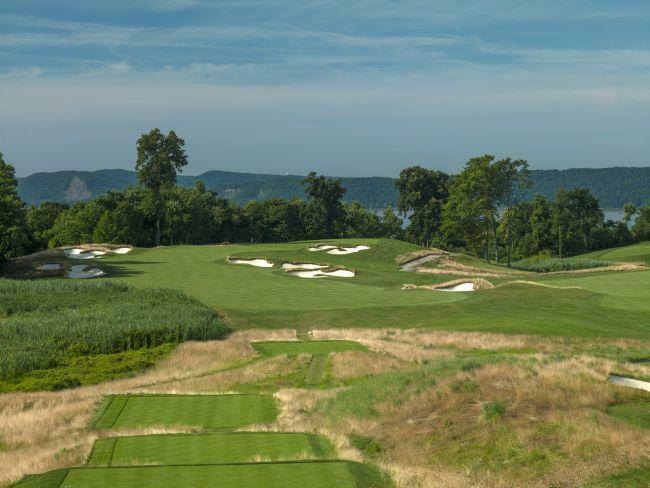 Tim Miller Associates was recently retained by Hudson National, one of Golf Digest’s top 100 golf clubs in America, to assist in environmental studies and to secure wetland permits from local and federal agencies for this private facility in Croton on Hudson, New York. TMA prepared design plans to build a new freshwater wetland onsite, and these were approved as part of the wetland permit conditions. Early in 2017, TMA was retained by the golf club to initiate construction of this 16,000 square foot wetland. Select tree removal has begun, and the grading and planting of this wetland/pond expansion are expected to be completed in late Spring of this year. As part of this project, areas of invasive species will be restored and connections to existing Audubon Conservancy trails will be completed. This work will allow Hudson National to move forward with its new world class practice facility, slated to open in 2018. For more information contact Steve Marino, PWS, at (845) 265-4400.